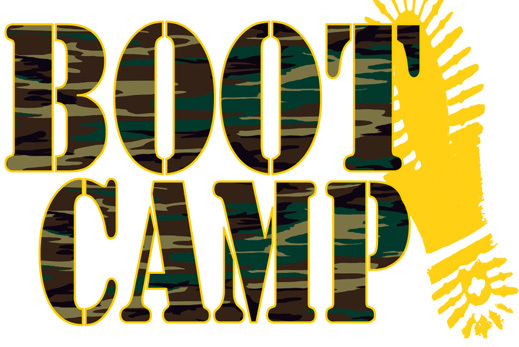 FINANCIAL FITNESS BOOT CAMP WEEK 10: WHAT’S ALL THE “BROUHAHA” ABOUT MY FICO SCORE ANYWAY? Credit score this, FICO score that. Blah Blah Blah. Our ability on whether credit is extended to us (or not) can hinge on our FICO/Credit score. 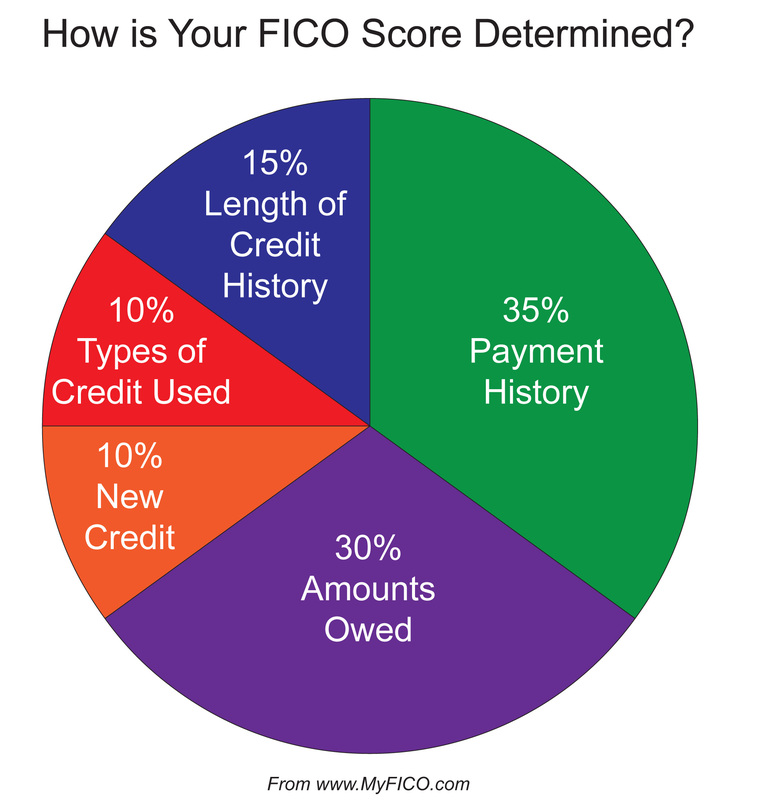 What is a Credit/FICO Score? Why is it so important? Some of you may be reading this and thinking, “I already understand credit, it’s importance and how it works.” If you are that person, that’s great. This post isn’t for you. 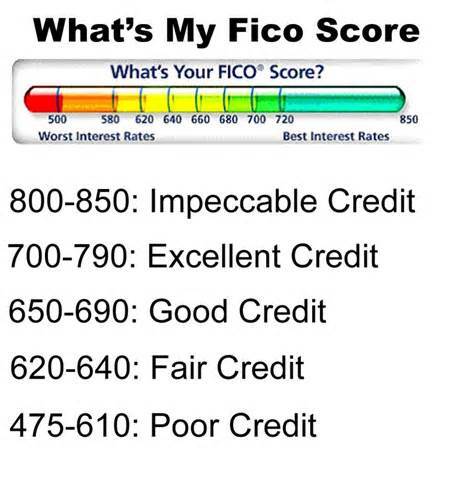 This posting is for the person who doesn’t know what a FICO score is, doesn’t quite understand the importance of the FICO/Credit score, how to mange credit responsibly and how it can impact variables such as interest rates on loans (home, car etc.,) whether additional credit will be extended to you, whether a deposit is required for certain utilities, whether you’re in contention for a job offer, and even car insurance rates. How is it that an insurance underwriter is able to assume because someone’s credit score is fair/poor they are prone to being involved in more car accidents or more susceptible to irresponsible/reckless driving? The same holds true for a potential employer who dismisses an applicant because their credit score is “less than stellar.” Is the employer taking into consideration WHY a person’s credit score is what they deem to be “less than stellar” when making the selection process even though the applicant is qualified for the job? These are serious questions that require serious answers, but let’s not get ahead of ourselves. Let’s first understand what a FICO/Credit Score is. FICO score and Credit score are usually used interchangeably. Most people call it your “Credit Score” but allow me to give you a bit of background on what the term FICO stands for and what it consists of. FICO was founded in 1956 as “Fair, Isaac and Company” hence the name FICO by engineer William Fair and mathematician Earl Isaac. The two met while working at the Stanford Research Institute in Menlo Park, CA. Selling its first credit scoring system two years after the company’s creation, FICO pitched its system to fifty American lenders. Lenders use FICO scores to gauge a potential borrower’s creditworthiness. Scores are provided by the three credit bureau reporting agencies, Experian, Equifax and TransUnion. 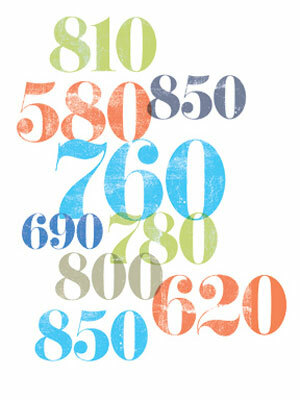 There are FIVE components that make up a person’s FICO/Credit score. The two categories of the five that are the most important are Payment History (how long you’ve had your credit account(s) such as a credit card) for instance, and Amounts Owed (debt-to income.) Be careful of “maxing out” credit cards or keeping a balance that is too close to your credit limit. As a good rule of thumb, your credit balance SHOULD NOT exceed 50% of your credit card’s limit. Any balance above 50% of your credit limit can actually lower your credit score. It’s always good to have a good mix of credit: Installment Credit (home/car loans,) Revolving Credit (credit cards,) Charge Credit (the balance is due IN FULL at the end of the month) and Service Credit (Utilities, gym memberships, etc.) NOTE: Service credit is not always reported to credit bureaus however a letter can be provided to a potential creditor by the company if necessary. Having a good credit score can get you better interest rates on homes, cars and even credit cards whereas less than stellar credit will yield higher rates simply because the risk to the lender is much greater. NOW LET’S GET TO THE NITTY GRITTY…..
A lot of people brag about having a good credit score and having a good credit score is certainly important but please bear this in mind: A CREDIT SCORE IS MERELY AN INDICATOR TO THE LENDER OF HOW WELL A PERSON CAN HANDLE DEBT. I know people who have EXCELLENT credit scores but are up to their eyeballs in debt. A high credit score IS NOT an indicator of wealth. It simply means some people are better managers of their debt. A person with a good credit score can look great on paper, but in some cases that’s pretty much the extent of it. Now let’s take a look at the person who has a fair/poor credit score. Bankruptcy, divorce, unemployment, disability, medical issues, or death of a loved one are among many factors that can play a role in a declining credit score. Don’t misunderstand me. Irresponsibility, immaturity, mismanagement and just plain ole ignorance are culprits as well. Before you discredit the person who has a fair/poor credit score, find out why. We automatically assume it’s because the person is irresponsible, immature or even broke. Think again. You are entitled to one FREE copy of your credit report. Go to http://www.MyFreeCreditReport.com to order yours. If you are denied credit for any reason, the lender/creditor is required to inform you (via letter) their reason(s) for making their decision. You are then given a report number you can use to access a copy (free of charge) of your credit report as well. IT’S IMPORTANT TO KNOW WHERE YOU STAND. I hope this posting gave you some introductory insight regarding credit and how it works. Next week we’ll delve a bit deeper into how to read a credit report, what can help your credit score, what can hurt your credit score and ways you can improve your credit score. YES, YOU CAN REPAIR YOUR OWN CREDIT!!! As always, I appreciate you taking the time to read this posting. Feel free to comment below. If you have any direct questions, email me at Andrea.Coleman@TheFinancialHack.com. Excitement for me still lingers in the air and I have yet to come down from my “financial high.” Last night was the first night of a 9-week webinar series with Dave Ramsey. The widely talked about “Financial Peace University” was being offered at a location that was a five minute drive from where I live. I call it fate. With work kit in hand I strolled into the classroom with my “learning hat” on. Dave spoke on the 7 “Baby Steps” we needed to take as we started on the path to financial freedom. I thought, “Wow, I’m already doing/have done these things so I’m in good shape,” but there’s always room for improvement. There’s always room to learn more, or to build from what you already know. One word that remained a continuous emphasis during his webinar presentation was the word “DISCIPLINE.” This is something I’ve stressed throughout my Financial Fitness Boot Camp postings. Discipline is the key to financial freedom. Delaying gratification is a key to financial freedom. Sticking to a strict budget is a key to financial freedom. Eliminating debt is a key to financial freedom. Now who wouldn’t want those keys in their possession? These are my words, not Dave’s. Sometimes however, reinforcement is needed to show us we’re on the right track…. that we have the right mindset. FYI…. BE SURE TO REPLENISH THE ACCOUNT. I could say so much more about what was said in last night’s class but I chose to highlight what I thought was most important and each week for the next nine weeks, I will share with you what I believe is the most important takeaway from each session. I could have easily mentioned how DISCIPLINE was most important or how taking responsibility was important as well, but I would hope by now, you’ve already taken responsibility, are serious and you’re ready to implement the necessary “discipline” to reach your financial goal(s.) You’re way past that. It is now time for action. This is an excellent class for the person who’s “sick and tired of being sick and tired.” It’s for the person who wants to control your finances instead of allowing your finances to control and dictate you. 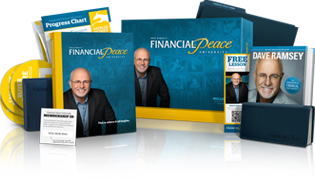 The Financial Peace University kit comes with so many useful references, I can’t wait to sit down and go through it all. I highly recommend couples take advantage of this class. A fairly large percentage of marriages fail not because of infidelity as most people think, but because of money-related issues. It only strengthens your bond if you’re not only on the same page spiritually and mentally, but on the same page FINANCIALLY as well. Remember, you’re working as a team. Some of you may be thinking, “Oh, we’ve heard this type of story a million times,” or “It’s the same recycled message,” which in a lot of cases is true. What differentiates each story is the way in which it is told. Everyone’s circumstances are different. Although I don’t know him personally, I look up to Dave Ramsey as a mentor and I admire him greatly. His story is unique, but so is the story of anyone who was once drowning in debt, attacked that debt “head on” and was triumphant in its defeat (if you haven’t guessed, I’m always brushing up my writing skills) and everyone, including myself, has a unique story to tell. I hope my postings will prove useful to you. It is my goal to educate and coach those who may not know where to begin on their road to finding “financial freedom,” “financial peace” or my personal fave, becoming “financially fit.” I would also like to focus on the “financial fitness” of our youth as it will prove beneficial to them in the long run. Proverbs 22:6 (KJV) says: Train up a child in the way he should go and when he is old he will not depart from it. 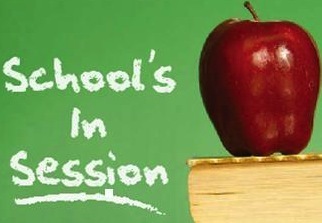 The sooner the child is educated about money, the more sound decisions he will make regarding it when he is older. The longer that child has to save, the more he will have to invest and “give back” whether it’s through the church and/or to others. If ONE person finds the information I provide beneficial, I’m doing my job. It is my sincerest prayer I am doing just that. Thank you all for reading this post. CLICK THE LINK BELOW TO FIND A DAVE RAMSEY “FPU” LOCATION NEAR YOU!!! As we gear up for the Labor Day weekend, let me finish Part 2 of “Charge Now, Pay Later: Overcoming Debt.” As I stated last week, I know everyone may not have the option to withdraw/borrow from retirement plans or even borrow against the equity in their homes, but never fear…. 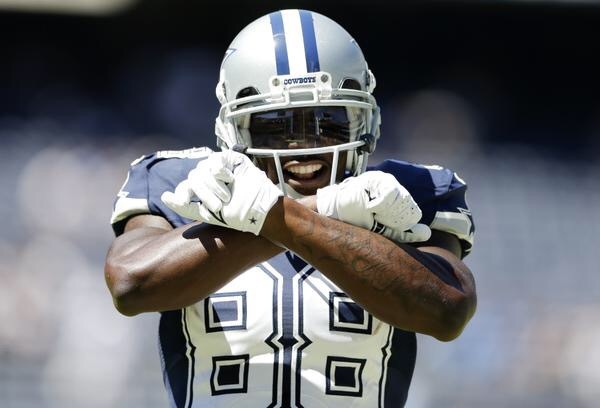 WEEK 9: MAMA SAID KNOCK YOU OUT…. CREDIT CARD DEBT, THAT IS. 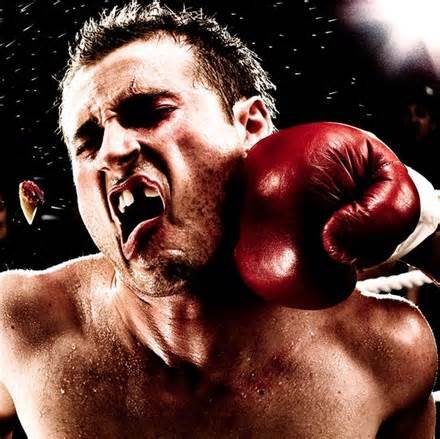 People that know me know not only am I a huge football fan, but a huge fan of boxing as well so what better way to illustrate getting rid of credit card debt than with a boxing analogy. At face value boxing looks like a no-brainer (no pun intended.) One would think the goal is to knock your opponent out as early as possible. Pretty cut and dried right? Not quite. Boxing requires skill and it requires quick thinking. The old “bob and weave” routine may not always work if your opponent is good at anticipating your moves. A boxer’s opponent is watching his eyes, he’s paying attention to his boxing stance. One boxer may have an orthodox stance, another may have a southpaw stance and still another may be able to switch up between the two. 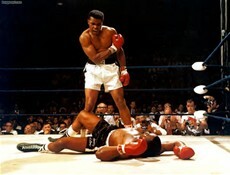 Unless you outsmart and/or outbox your opponent, you may end up being the one down for the count. The same applies to “the bout” you’re about to have with credit card debt. And credit card debt WILL NOT be your sparring partner. This isn’t practice, this is the “Real Deal” Holyfield (if you know a little bit about boxing, you understand the lingo.) If not, look it up. There’s nothing wrong with learning new information. You can still overcome credit card debt but once again, this will take some sacrifice on your part and you may be in for a real fight. Don’t underestimate knocking out credit card debt the way some boxers may underestimate their opponent because they’ve been labeled the underdog. Underdogs have been known to upset champions. We see it all the time. Not just in the game of sports, but in the game of life. By now you should have long tracked your spending and found ways to cut costs. Here are links to a couple of prior posts you may want to reference. Start with the credit card that has the LOWEST balance. 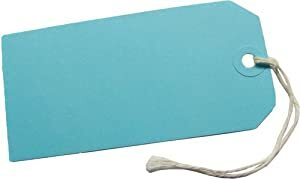 Others may suggest starting with the card that has the highest finance charge rate however, paying off the card with the lowest balance FIRST gives you a sense of accomplishment when you make that final payment. Use the “Domino Effect” to pay off the next card and so on and so forth. The “Domino Effect” is simply taking the monthly amount used to pay off the FIRST credit card balance and apply it to the amount being paid on the SECOND credit card, the THIRD and… hopefully you don’t have more than three major credit cards. The goal is to pay larger monthly amounts with each card until you have paid them all IN FULL. Depending on your credit card balances, the process can take a few months or a few years. Think of boxing. Some fights end within the first few rounds, while others go the 12-round distance. How aggressively you attack your credit card debt, as a boxer attacks his opponent, is strictly up to you. Once your credit card balance is paid in full, you can move to other areas of debt such as student loans, car loans and even mortgages (if applicable.) The satisfaction of saying “I have no credit card debt,” is one of the best feelings in the world, especially if that debt was causing unnecessary stress and anxiety. You did it, you stayed the course. VICTORY OVER CREDIT CARD DEBT BELONGS TO YOU! So there you have it. A simple one, two step plan to overcome credit card debt. I know. It’s easier said than done, but the moment you become sick and tired of being sick and tired, is the moment you take action. The question you must ask of yourself is “Am I sick and tired of being sick and tired?” When you are, you won’t have to ask the question. You’ll already know. I hope you benefitted from this posting and as always, I greatly appreciate you reading it. Feel free to SHARE. Your commentary is always important so ALL FEEDBACK IS WELCOMED. If there is a specific topic you’d like me to talk about regarding “Financial Fitness Boot Camp” on this blog, feel free to shoot me an email at Andrea.Coleman@TheFinancialHack.com. 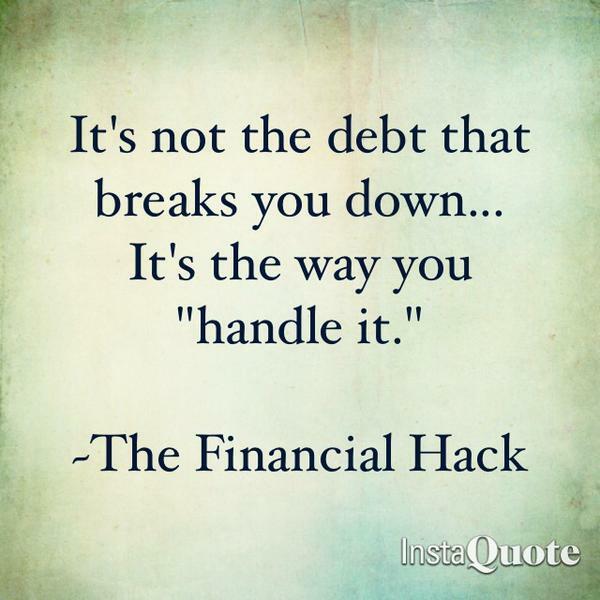 Don’t miss a posting so be sure to follow me at http://www.thefinancialhack.com. 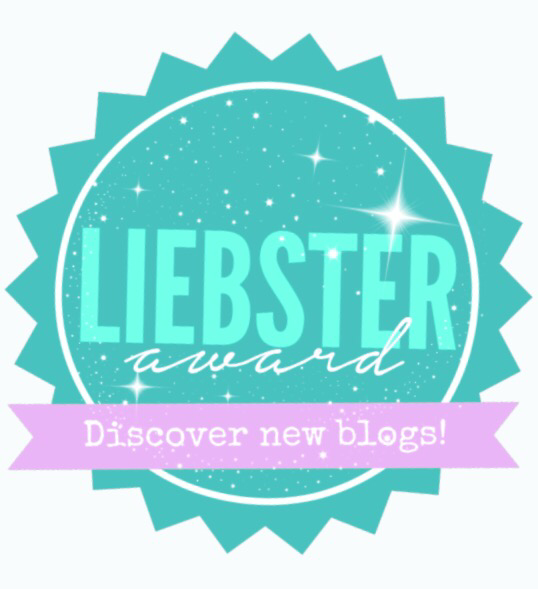 FOLLOW THIS BLOG AND/OR JOIN THE EMAIL LIST SO YOU DON’T MISS A POST. A couple of you may have been looking for and wondering why there was no posting last week. Simply put, I allowed distractions to get me off task. 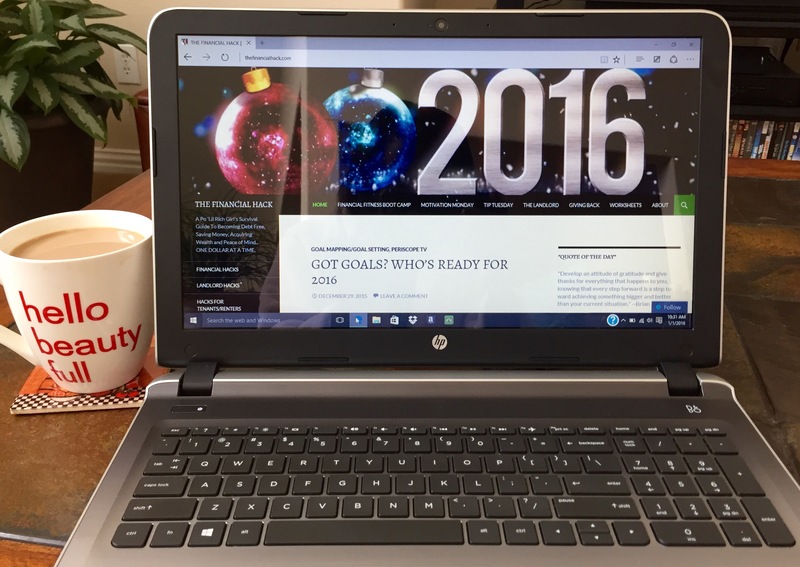 My lack of focus made it impossible to blog. It wasn’t because I was tired or didn’t have anything to say. I allowed “outside noise” to drown out my internal thoughts. Thank God I’m back on track. Hopefully the “Daily Motivation” postings encouraged you and kept you focused in the interim. Each day is a work in progress for me because there is always a personal/spiritual/professional/financial goal I’m striving to reach. Currently, I’ve set a goal to save a SPECIFIC amount of money over the course of this next year. As a constant reminder of my goal, I’ve written that amount on a piece of paper, taped it to my bathroom mirror and each time the amount increases (i.e. a deposit is made,) I record the date and the adjusted amount. Recording the date helps me track possible patterns in saving. But it wasn’t always this way. At one point in my life, I wasn’t able to save because (in the words of my younger cousin Bobby,) “I made just enough money to “stay broke.”” That’s certainly what it felt like. This didn’t mean I didn’t make enough money to fulfill my obligations. I simply wasn’t financially mature enough to modify my spending habits. I was still shopping, going on trips (and everything else under the sun) and using credit card(s) when I didn’t have the money. The bills were paid on time every month but without an emergency fund or some type of savings in place, ONE monthly setback could set me back THREE months. For example. What happened if my car was in need of repair? Where would the money come from? My quick fix? I simply incorporated the “Rob Peter To Pay Paul Principle.” I’m sure you guys have heard of it. If you’re honest with yourself, some of you have done it. And if you’re brutally honest with yourself, you’re doing it now. The “Rob Peter To Pay Paul Principle” is sacrificing paying one bill and/or bills to take care of another. This principle worked a few months for me, but eventually imploded in my face. I was never taught how to use credit responsibly. By the time I entered college, the only advice given to me regarding credit (credit cards in particular) was, “DON’T GET ‘EM!!! DON”T USE EM!! !” That came from both my mother and father. They were the traditional “old school” types who believed in cash and carry. But how could a broke freshman pass up the opportunity to get a free college t-shirt just for “signing up?” Before I knew it, I had THREE FREE T-SHIRTS and was issued TWO CREDIT CARDS with a credit limit of $500 each. Now how did this credit thing work again? I was responsible with the charges I made but not responsible with how I made the payments. I thought I could make payments at my discretion as long as the balance didn’t exceed the credit limit. That’s the way credit cards work. Right? One day (at the mall of course,) a purchase for a pair of shoes was declined. I gave the salesperson my other card. Declined as well. I didn’t understand why. I hadn’t gone over my limit, so why were the cards being declined? The salesperson suggested I contact the credit card company. After sifting through unopened mail, I found a statement and proceeded to contact them. Not only had I not paid in three months, but my balance exceeded the credit limit. What? How could this be? APR? Finance charges? What is that? Late fees? For what? The Customer Service Representative I spoke to was kind enough to explain the abbreviated version of Credit Card Management For Dummies to me. (Hmmm. I like that. I’ll file that in my mental mailbox and blog about Credit Card Management for Dummies in a future post.) Long story short, Mom to the rescue. She paid the balances on the cards provided I close the accounts. Those were her terms and in my case, the one with the money calls the shots. Fast forward to my ADULT adult years. I’m well out of college with two degrees, still couldn’t manage my credit card debt and in my late 30s. By this time, I had knowledge of credit cards and how they worked, making timely payments etc., but the temptation to spend spend spend when one bank is offering you a $15K line of credit and another a $10K line of credit was too great. There’s a little way banks can really “stick it to you” if you’re not careful. I’ll give you two words: CASH ADVANCE (which yield HIGHER interest rates than making regular purchases.) When I was going through my “Keep Up With The Joneses” phase, where I had to have the Mercedes Benz, the larger home, and designer handbags to feel validated, those 3-4 little checks the bank would send with my monthly statements came right on time. The next thing I knew, the balance on one credit card was near maxed out, and I was working on maxing out the second card. What to do? Back then, the minimum payment on the TWO credit cards combined at the time totaled half of the mortgage on my home. Plus I also had a car payment on my truck. There was no way I was going to ask my parents. I made my bed, now it was time to lie in it. I had credit card debt in excess of $20K. My credit was shot as my debt to income ratio was so high, there was no way a creditor/lender would extend another dime of credit to me for anything. There was the constant anxiety and worry. Anger and irritability. Sleepless nights. Dreams of falling then waking up in cold sweats. Worry that I’d have to sell my investment properties, face foreclosure and file for bankruptcy. Thinking of it as I type now makes me anxious. That’s a place I never want to visit again. YEAH YEAH YEAH. WE GET IT. YOU WERE DROWNING IN CREDIT CARD DEBT. SO HOW DID YOU OVERCOME IT? I know this is what you guys want to know. 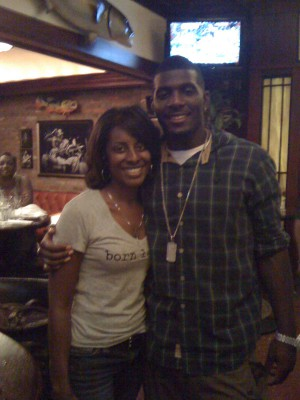 I had to set the scene in order to illustrate how the CHARGE NOW….PAY LATER way of thinking caught up to me. Here’s how I did it: I “settled” with the two credit card companies. Credit Card 1: Balance $15,000 (apprx) Settlement Amount: $7,500. Credit Card 2: Balance $8,000 (apprx) Settlement Amount: $3,000. The bank refused to accept any thing less than half the balance on Credit Card #1. For Credit Card #2 I told the bank $3000 was all I had to settle with. They accepted what I offered. IF YOU SETTLED FOR APPROXIMATELY $10K AND PREVIOUSLY STATED YOU HAD NO SAVINGS, HOW WERE YOU ABLE TO PAY? Answer: I was forced to tap into my IRA and take the hit (penalty) for a partial withdrawal. Some of you may have been in the workforce long enough to have a retirement account saved up. If so, you can take a partial withdrawal from your retirement account (if allowable) or take out a loan against it, which of course will have to be repaid. It may not sound attractive, but it’ll get the “monkey” off your back. The downside. My credit score would suffer, but who cares! It was beyond insufferable anyway. But wait. there was a silver lining to this credit card debacle. A THIRD credit card which I rarely used. Let’s just call it a “rainy day” card. It had a pretty sizeable credit limit like the others so if push came to shove, it was there to use. Or so I thought. That lone credit card that once had a limit in upwards of $10K had been reduced to $2000. Couple that with my POOR credit rating at the time, and that was just the motivation I needed to become more responsible when it came to my finances. I was sick and tired of being sick and tired. My father’s ever so redundant line when it comes to credit cards, “If you have to use a credit card to buy it, you can’t afford it,” still resonates with me today. That may make sense to him, but I would tweak that line just a bit. “If you can’t pay your credit card balance in full when you get the bill, you MAY NOT be able to afford it.” I like my wording better. Less harsh and more accurate. Everyone’s “financial collage” is different and no two collages will ever look exactly the same. Today I still have the one credit card and although the bank has been gracious to increase its limit (enticing me to use it no doubt,) the only action it gets is the random fill up at the gas station and the occasional dinner with me of course paying the balance in full at the end of the month. This happened at age 40. I am now 44. And I’ve come a LONG WAY in four years. It only took about a year and a half of strictly managing my finances responsibly to INCREASE my credit score rating from POOR to GOOD. And you can do it too. Even if you don’t have a retirement account, you can still eliminate credit card debt. Look for tips in next weeks blog posting. STEP 7: WHAT HAS TO BE CUT FROM YOUR SPENDING HABITS? You’ve had plenty of time to track your spending. You’ve trimmed the fat, now it’s time to make some SERIOUS cuts. Some feelings are going to get hurt after the cuts (mostly yours,) but with great sacrifice comes great reward. For your budgeting to be effective, you have to stick to it. DISCIPLINE IS KEY. So as an example, let’s take a look at some areas of my spending that DIDN’T make the cut and for all practical purposes, I’ll use basic football positions you all should know… hopefully. 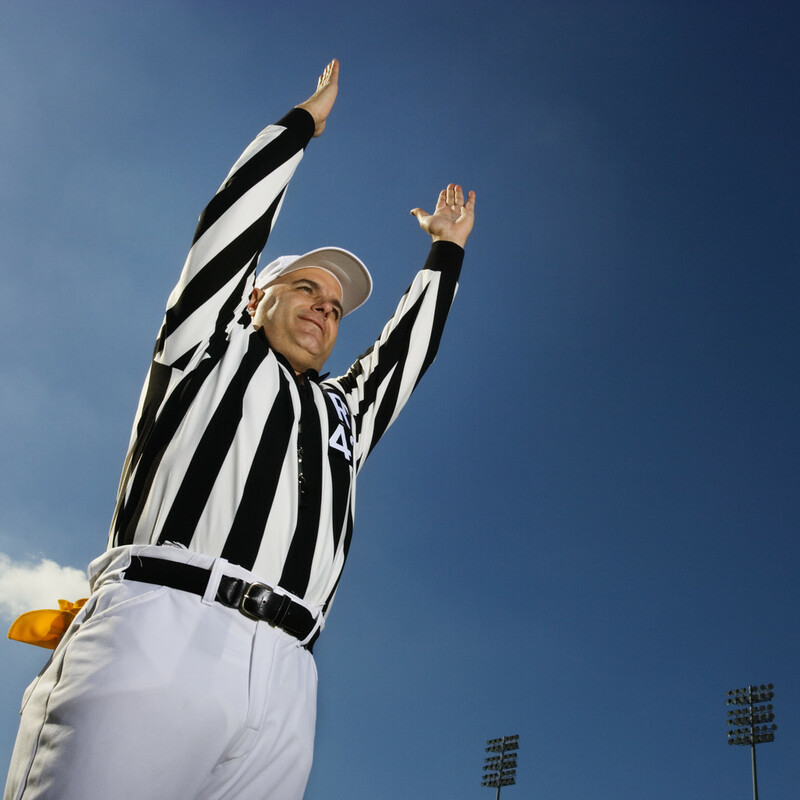 1st CUT (KICKER): SHOPPING FOR NON-ESSENTIAL ITEMS– In football, a “Kicker” kicks off the ball to the opposing team, kicks the extra point after a touchdown as well as attempt 3pt field goals when scoring a touchdown is not obtainable. As much as I love thrift stores, and discount retailers (TJ MAXX, Marshall’s, Ross, DSW etc.,) these are considered “Kickers” to me. These non-essential items are purchased to score extra points. An outfit here, another pair of shoes there, accessories I don’t need, or makeup I may only use once. The kicker is my bonus, my “extra points” if you will. If you walked inside my closet or looked in my bathroom, you’d understand why. I need not another article of clothing, pair of shoes, or tube of lipstick. 3rd CUT (RUNNING BACK): EATING OUT EXCESSIVELY– Now I know even those who despise football know what the function of a “Running Back” is or can at least name one. Running backs receive the ball (usually handed off from the quarterback) and “rush the play.” Running Backs are usually of average height but are very strong and powerful when rushing through a group of linemen. 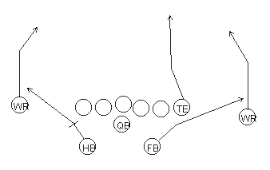 Just as a Running Back rushes through a group of lineman, for some (like me,) it is so easy to make a “rushing play” to grab some fast food or a bite to eat at a restaurant/bistro to keep from having to cook. I was more responsible when I was married, but as a single adult, it’s just so much easier to pick something up on the way home. I keep referring to the $500 I spent eating out in one month. This included stops for breakfast on the way to work, lunch, and dinners/brunch out with friends. $250 can get me a refrigerator and pantry full of food. Prepackaged dinners always come in handy, and I’m not above eating Ramen Noodles (shrimp flavor is my favorite.) Eating Ramen noodles has nothing to do with being poor and not being able to afford anything else, hell, I like ’em, they’re economical, and it doesn’t take long to prepare them. As convenient as it is to hit the nearest Luby’s drive thru for Chicken Fried Steak, mashed potatoes, cabbage and a wheat roll, the $11 I spend on that ONE MEAL can get me all the items I need to make a spaghetti or enchilada dinner that I can stretch an ENTIRE WEEK. Also consider items such as salads and baked potatoes. Carnivores feel free to add some grilled chicken to that salad to make it interesting. And NEVER sleep on Hamburger Helper. They have so many different flavors now, it’s ridiculous. Again. Sacrifice is required in order to reach your goal. You may be eating Hamburger Helper now, but you’ll be eating steak and potatoes in little or no time if you stay the course…. YOU CAN DO THIS!!! SO HAVE YOU DECIDED WHAT NEEDS TO BE CUT FROM YOUR BUDGET? Hopefully the examples I mentioned will give you an idea on where you can make some cuts. You’ve got some tough decisions to make if you haven’t. If you want to be financially free, you’ve got to be willing to let some things go. I’m sure a few of you have already put those players aka “spending habits” on the “chopping block” that pose more of a liability than an asset to your finances. Good for you. To those that still haven’t decided, MAY “THE FORCE” BE WITH YOU. I KNOW YOU’LL MAKE THE RIGHT DECISION. HAPPY CHOPPING!!!! I hope you benefitted from this posting and I do appreciate you reading it. I want to hear from you! What is posing a “liability” to your finances and what have you decided to get rid of? Your commentary is always important so ALL FEEDBACK IS WELCOMED. If there is a specific topic you’d like me to discuss regarding “Financial Fitness Boot Camp” on this blog, feel free to shoot me an email at Andrea.Coleman@TheFinancialHack.com. 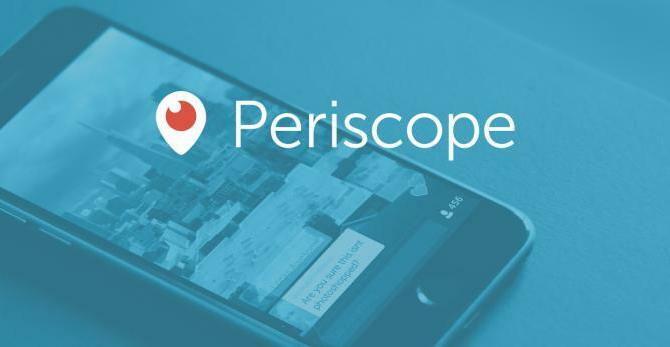 Don’t miss a posting so be sure to follow me at http://www.thefinancialhack.com. 1. A revolving machine with model horses or other animals on which people ride for amusement. 2. A large revolving device in a playground, for children to ride on. 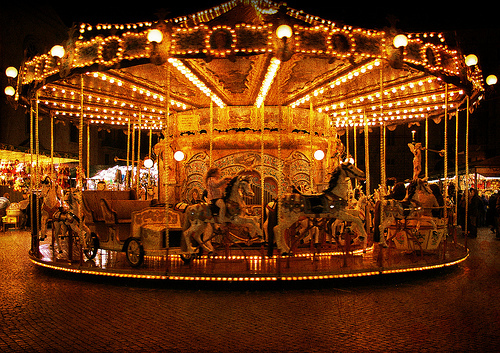 BUT FOR THOSE WHO WANT TO BECOME “FINANCIALLY FIT” THE MERRY-GO-ROUND OF DEBT IS…..
3. A continuous cycle of activities or events, especially when perceived as having no purpose or producing no result. card(s) DOES NOT get you any closer to paying off the credit card balance in a reasonable period of time. Credit card statements now show how long it would take to pay off a credit card balance making minimum payments (and of course making no future charges.) Have you stopped to read it? For some it may take up to 30 years to pay a balance. THIRTY YEARS!!! What if you’re only 30 years old? Oh, Perish the thought. “But I pay on time and I have good credit,” is what some of you may be thinking. Paying the minimum amount due on time shows you are responsible at handling credit, but your debt-to-income ratio can still be through the roof labeling you a possible “credit risk.” Although creditors see you making timely payments each month, they may be hesitant to extend additional credit to you, or in some cases may charge you higher interest rates, or require higher down payments to do so. Debt, or credit card debt in general is a vicious cycle that some of us see no end to. Many have the belief that debt is a part of life. SAYS WHO? Eliminating credit card debt is the first thing I’d like to tackle, but BEFORE we start tackling credit card debt, it would be wise to set up an emergency savings account. To do so, you have to be willing to “get off the merry go round.” GIVE THOSE CREDIT CARDS UP!!!! Remove them ALL from your wallet or pocketbook and only carry one (with the lowest credit limit) in case of emergencies ONLY. Now how does “Getting Off the Merry-Go-Round” relate to the tracking of my spending habits and credit card debt? 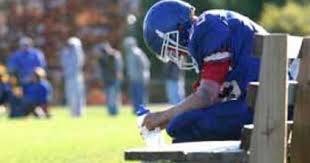 YOU’VE GOT TO EXERCISE DISCIPLINE AND BE WILLING TO LET SOME THINGS GO. This means scaling back on the spending of non-essential items. Look at your what you’ve spent your money on in the past month and determine what can be modified or stricken completely from your spending in order to free up additional money so you can pay not only the minimum amount due on your credit cards, but a “little extra.” I’ll talk more about how I tackled credit card debt (in excess of $20K) in next week’s FINANCIAL FITNESS BOOT CAMP post… AND IT AINT PRETTY!!! In the meantime, let’s start working on how to build up that EMERGENCY FUND. Look for PART 2 of this post later this week. Old habits die hard, but the reward from discipline far outweighs the cost to reach your goal. So are you IN or OUT? Will you remain shackled by debt, or break the chains to gain financial freedom? The decision is up to you.